Tulips are indigenous to mountainous areas with temperate climates and need a period of cool dormancy. They do best in climates with long cool springs and early summers, but are often grown as spring blooming annual plantings in warmer areas of the world. 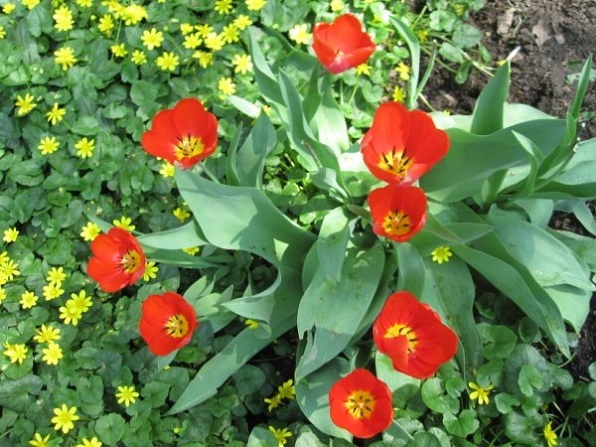 The bulbs are typically planted in late summer and fall, normally from 10 to 20 cm (4 to 8 in.) deep, depending on the type planted, in well-drained soils. In parts of the world that do not have long cool springs and early summers, the bulbs are often planted up to 12 inches deep; this provides some protection from the heat of summer and tends to force the plants to regenerate one large bulb each year instead of many smaller non-blooming ones. Tulips in many colors are naturalized throughout the garden.